The trail was originally a line of the Grand Trunk Railroad. Much of the right-of-way is significantly below grade. This reduces intersection and turning conflicts, but introduces the challenge of creating safe and accessible points from which users can enter the trail. 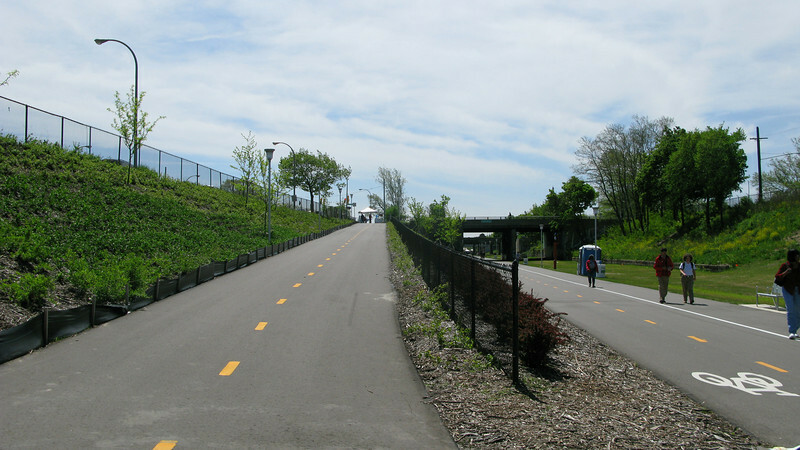 While below-grade rail lines in downtown settings are found across the US, the Dequindre Cut is unusual in that the corridor is almost 50 feet below grade, an unusually deep urban canyon.